The Best High Fiber Cat Foods and Why Does Your Cat Need It? 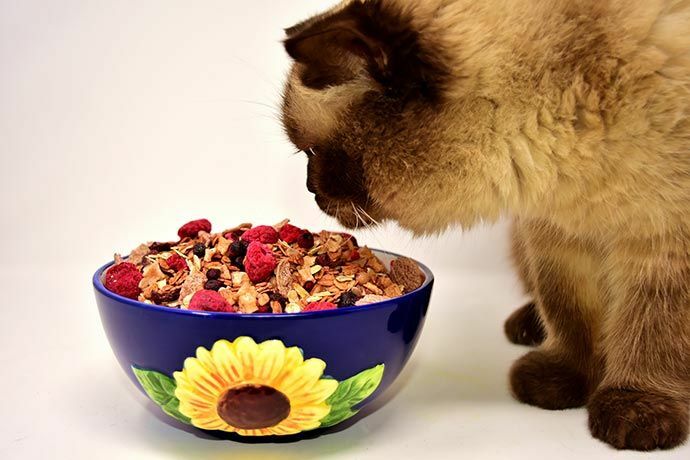 Home » Cats » Cat Nutrition & Feeding » The Best High Fiber Cat Foods and Why Does Your Cat Need It? Have you ever asked yourself: how can I keep my cat healthy and happy?Feeding your feline friend with high fiber cat foods is a massive step in the right direction. This diet helps to ensure their digestive health and regularity. That’s why we are going to review the best commercial high fiber cat foods and why you should buy them. Does Your Pet Need a High Fiber Cat Food? What Do You Want in High Fiber Cat Food? So, Which Food Should You Choose? Just like us, our feline friends need to eat balanced diets to stay fit and healthy. Suitable nourishment includes eating enough fiber. However, many pet foods are severely lacking in this respect. That’s why many brands today produce food that is uncommonly high in fiber. This food ups the fiber content in your cat’s diet through a variety of ingredients. They are mostly vegetables such as sweet potato, pumpkin or lentils. Fiber should make up 0.55% to 10% of your cat’s daily meals. The products on this list all contain more than 3% but not more than 10%. So the total fiber intake for each cat of any age will vary based on how much they eat. For example, if your cat eats 5 oz of kibble a day, up to 0.5 oz can be fiber. Remember that a fiber content above 10% can have adverse effects. Before buying a product, you can check for this percentage under its nutritional facts. A lack of fiber can have adverse effects on your cat’s digestion as well as their weight. Your cat regularly struggles with hairballs. Your cat is constipated. Signs of constipation are, your cat isn’t eliminating feces every day and when they do it is hard, dark colored and difficult to pass. He or she is overweight or obese, and you are struggling to manage their weight. Obesity has increasingly become a problem among domestic cats. It can be especially difficult to regulate a mostly indoor cats weight. They struggle with other digestive problems like diarrhea and vomiting. Switching your cat to a diet that is higher in fiber can help to manage these problems. You will probably be pleasantly surprised by the difference that a high fiber diet will make to your cat’s wellbeing. A 2012 scientific study has shown that this type of food can help your cat to lose weight, and can help your pet to feel fuller for longer. More fiber will be particularly beneficial for indoor cats that don’t get as much exercise. High fiber cat food could help you to treat your pet for constipation and hairballs. This diet can lead to an overall improvement in your pet’s gastrointestinal health and will help to prevent them from developing digestive issues. Increasing your cat’s fiber intake can even help to regulate their blood sugar and can, therefore, help for diabetes. Below is a helpful youtube video that gives you more advice on choosing the right food for your cat. This diet is a readily available way to address your pet’s health issues. All of the high fiber cat foods that I am going to review are over the counter. However, if your cat has more severe problems, you can ask your vet about possible prescription foods instead. Even though fiber is a necessary part of a cat's diet, don’t overdo it. Stick to the feeding and serving guidelines recommended by your vet or by the specific brand. Before you feed your pet anything, it’s worthwhile to go through its list of ingredients. 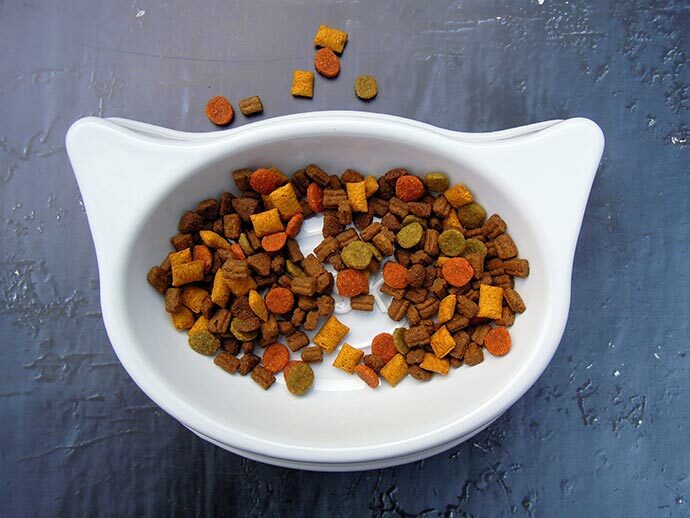 Cat food with high fiber contents often have recipes that contain more natural components. It’s always a great bonus if it also uses organic ingredients. Other possible supplements could be probiotics and prebiotics. 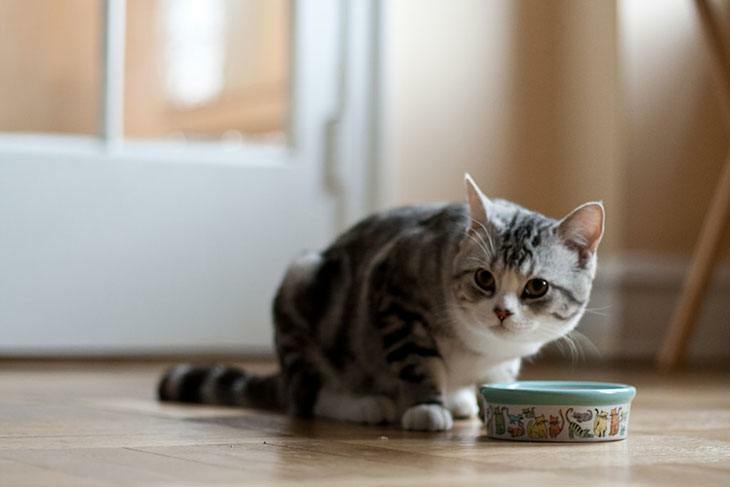 If your cat regularly struggles with diarrhea or other gastrointestinal issues you might want to learn more about what they are eating. Your feline friend could be allergic to specific ingredients such as chicken. Many cats are also sensitive to grains so you should consider trying a grain free alternative. Healthy doesn’t mean that your pet’s food can’t be delicious. You will be able to find these foods in a variety of flavor options like chicken, salmon or duck. Each cat will have their taste preference so you might need to test a few choices before they are satisfied. If you want to change your cat’s diet, it’s often easier to give them a type of food you usually feed them. If your pet regularly eats canned food, stick to wet alternatives and vice versa. There are usually more dry high fiber options like kibble available than wet ones. Nowadays, you can also buy biscuits and treats that are high in fiber. When you buy any food for your cat, you should keep your cat’s specific attributes in mind. Cats of different ages have different nutritional requirements. So to keep them happy, your kitten and senior cat should eat food that is made with them in mind. You might also find food that it’s meant for specific feline breeds. Before making a purchase, you need to check whether the food has been approved and tested by the appropriate governmental bodies. The food and its various ingredients should be of a high-quality. Before you look at the pros and cons of each product, keep in mind that high fiber options will often be labeled as digestive diets, helping with hairballs or being for indoor cats. Rachael Ray Nutrish Complete Natural Dry Cat Food is made for indoor cats in mind. It’s aimed at providing the nutritional support they need to stay healthy. You can buy this high fiber cat food in 6-pound bags. It comes in the form of round dry pellets. The brand focuses on using “real” and natural ingredients to produce a nutritious and filling meal for your pet. It’s made of a variety of high protein sources such as chicken, salmon, and whitefish. Besides this, it’s packed full of antioxidants that are provided by blueberries and cranberries that form part of its superfood blend. It doesn’t stop there. The product is reinforced with many vitamins and minerals like vitamin B and calcium. To support your cat’s digestion, the food contains prebiotics and probiotics. Lentils provide the high fiber content in this product which will speed up your pet's metabolism. 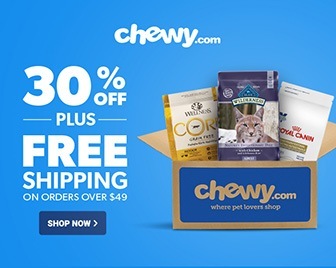 Not only will buying this food help your feline friend, but you will also help animals in need. With each bag that is sold, a portion of its price is donated to The Rachael Ray Foundation which assists with a variety of animal-related charities and organizations. Despite this food containing all these high-quality ingredients, it is inexpensive. The first product on this list is IAMS Proactive Health Kitten Dry Cat Food. This high fiber cat food comes in 3.5, 7 and 16-pound bags. It’s a dry food that comes in small easy to eat pellets. The food is made especially for kittens from 1-12 months. The kibble comes in chicken flavor. High-quality chicken is the primary protein source is in this product. Most cats will love this meaty flavor. However, as pets are often allergic to chicken, this isn't always the best option. So keep your eyes open for any signs of an adverse reaction. In addition to this, it contains, a variety of other health-boosting ingredients. Among these are omega-3 DHA which will help your pet’s brain to develop, taurine for eye health and improved vision as well as antioxidants. All of this keeps your pet’s immune system sharp. It is packed full of its unique fiber blend to improve and protect your cat’s digestive health. It is made up of beet pulp and even has some prebiotics included. The high fiber content ensures that all the vitamins, antioxidants and other nutrients are fully absorbed. IAMS Proactive Dry Cat Food offers excellent value for money and is one of the least expensive options on this list. This nutrient-packed kibble does this without compromising on quality. Hill's Science Diet Hairball Control Cat Food is a high fiber wet foot that comes in cans. The product contains minced ocean fish, and unlike most of the products on the list, its primary protein source isn’t chicken. If you or your cat will prefer it, you can buy the minced chicken instead. So if your pet prefers fishy flavors, your cat will love this, and you can try out this product. The product is a perfect option if your feline friend is used to wet food. It also works well if you mix it with dry food. It can be used in this way to supplement their regular diet. Besides its main ingredient which is ocean fish, it contains vegetable fibers to up its fiber content. It will improve the overall state of your pet’s digestion. Hill’s Science Diet high fiber cat food is made for hairballs. It will help to reduce problems with hairballs and will help them to be eliminated before they cause more trouble. It also helps to prevent the formation of these balls in the first place. This high fiber food is made specifically for adult cats of 1-6 years, so it’s not suitable for younger or older cats. It’s only suitable for adult cats. Doesn’t contain probiotics or prebiotics. The Greenies Feline Smartbites Cat Treats is the only treat on this list. It is a two-textured chew, with a crunchy outside and a soft inside that your pet will love to eat. The tuna flavor is an exciting change from many of the other products on this list. As a treat, it is the perfect way to supplement you cats usual diet without making significant changes like switching their primary food source. Remember that this cannot be used as a complete food source and doesn’t constitute a balanced diet on its own. Conveniently, these treats are only two calories each. As a result of this, it won’t substantially impact your cat’s calorie intake. Therefore, unlike other snacks, it won’t cause weight gain if you feed it to your cat as recommended. It also means that your pet can enjoy more treats than usual per day! The treats are filled with natural plant-based fibers to optimize your pets digestive health. This high fiber food is formulated to specifically for hairballs. It will help to stop the formation of hairballs and will help it to pass through your cat’s system without causing any trouble. Greenies made these unique treats for cats who are older than one year. So although it isn’t suitable for kittens, it can be given to adult and senior cats. Ideal for supplementing your pet’s diet. The treat isn’t a complete food source but only works as a supplement. Doesn’t contain probiotics nor prebiotics. Royal Canin Veterinary Diet Gastrointestinal Fiber Response is a dry cat food that comes in bite-sized pieces. The high fiber cat food comes in 8.8-pound bags. The primary protein source in the kibble is chicken, and this is the flavor of the pellets. The Royal Canin Veterinary Diet Gastrointestinal Fiber Response comes with added fiber that speeds up your cat’s metabolism and helps to prevent them developing digestive issues like diarrhea and constipation. In addition to this, their recipe includes prebiotics to increase its effectivity as well as oligosaccharides. All of this combines to make sure that this food maintains and improves your feline friend’s intestinal health. As a brilliant extra, it also contains Royal Canin’s S/O Index which is specially formulated to support your pets urinary health and helps to prevent issues like bladder stones and infections. The product is quite pricey and is one of the most expensive products on this list. However, Royal Canin is famous for using the highest quality ingredients to provide top quality food. Like Hill’s, Royal Canin is a brand that is trusted and is often recommended by veterinarians. So if you don’t mind paying the price for top products, this option is the one for you. Like all pet owners, you probably want to give your pet the best. Now that we have weighed the pros and cons of the five best high fiber cat foods of the year, you can figure out which one suits you and your cat’s needs. To help you, here is a final summary of the product’s features. Of all the products, my personal favorite is Rachael Ray Nutrish Indoor Complete Natural Dry Cat Food. The product is very affordable and packs a lot of punch for its price. The best feature of this high fiber cat food is the variety of natural ingredients in its formula. These components make it nutrient-rich and help to support your pet’s immune system. The lentils in the recipe will help to keep your cat’s intestinal health in tip-top shape. Did your cat love these high fiber cat foods? Tell us about it in the comments and don’t forget to share.